We are one of the leading manufacturer & supplier of Gas Management Accessories. 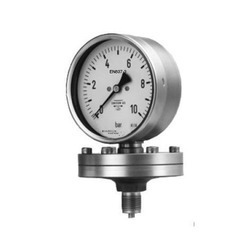 We have expertise in offering a broad array of Pressure Gauges, which is offered in mild steel or stainless steel materials. These are made in accordance with all international quality standards and are operated by skilled workforce. We offer these gauges at most affordable price. We are suppliers of Wire Braided Pigtail (SS). These are Smooth and corrugated hoses with no braid. Used for low-pressure applications. Translucent, PTFE wall allows the visual control of the flow. 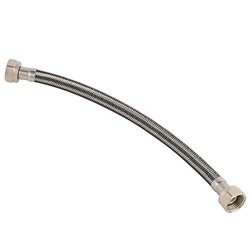 Smooth hoses with a single or double external braid made of stainless steel. Widely used for almost all media: chemicals, gases, steam, oils, lubricants, fuel, paint, adhesives, foodstuffs in all branches of industry. Being a highly effective, lean and fast-moving organization, we are instrumental in providing Gas Sampling Bladder. This sampling bladder is ideal for capturing gas samples for further analysis using drager tubes. The offered sampling bladder is manufactured by our experts by utilizing optimum quality material and leading technology in adherence with the set norms of industry. 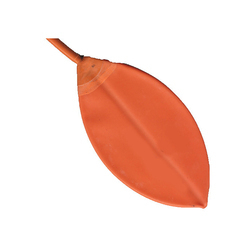 Customers can avail this sampling bladder from us at affordable rates. Perfect shape and swift movement of our organization has made us instrumental in offering a durable quality Quick Release Connector. 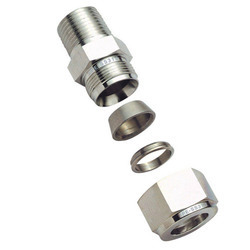 The offered connector is manufactured with the help of best quality material and sophisticated technology, in observance with set industrial standards. 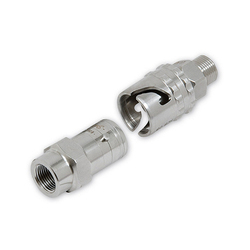 We offer this connector on number of specifications to choose from. Also, this connector is inspected by our in-house quality experts on numerous parameters in order to ensure that we are offering only defect free range. We hold expertise in providing an extensive range of Nuts. This product is valued in the market due to its rust proof finish. The offered product is available from us on assorted specifications so as to meet the needs of the customers. Our product is precisely developed from the finest quality material & contemporary techniques keeping in pace with industry standards. With a precise understanding of this domain, we introduce ourselves as the leading manufacturer and supplier of Gas Management Trapes. 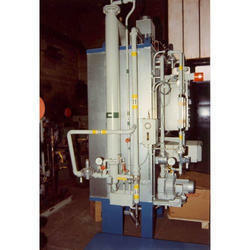 Our offered gas management trape is widely used in different industries due to their optimum performance and quality. This gas management trape undergoes a rigorous testing process that is carried out by our experts in order to ensure its flawlessness. The gas management trape offered by us is obtainable in a variety of specifications so as to meet the variegated requirements of customers. We are engaged in manufacturing and supplying Toggle Valve that is available in various sizes and designs at market leading prices. All the products are designed and manufactured using quality raw material and latest technology to ensure that final output meets with international quality standards. We also stringently check our entire range of products on certain well-defined parameters to ensure zero defect. 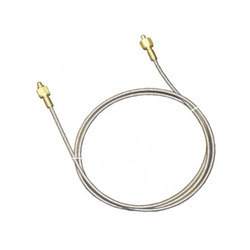 we are engrossed in delivering to our customers a wide consignment of Wire Braided Hose (SS). Under the supervision of trained executives, these offered hoses are developed with perfection. Also, their accessibility with us in multiple stipulations and customized forms makes these highly cherished. 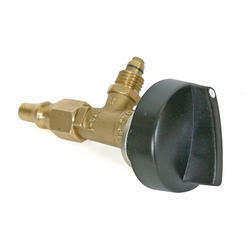 we are occupied in providing an exclusive range of Gas Control Valves. Offered valves are widely used in various gas and oil industries for regulating the flow of gas. 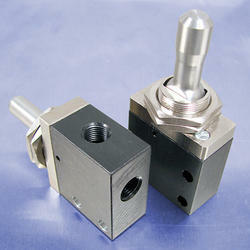 These valves are obtainable in various sizes and other allied specifications. Apart from this, our clients can purchase these valves from us at industry leading prices. Looking for Gas Management Accessories ?